Please excuse my typo on my previous e mail. I will never forget Sept 11th 2001. My thoughts and prayers are with each and every aircrew member and all other helpless victims who perished at the hands of the unmerciful terrorists. Lest we forget. I will always remember the disbelief, the shock, the horror, the pain, as Peter Jennings announced the news, that appeared to be too incredible to be true. But for my impending spinal surgery, as an EWRSW based UAL Flight Attendant, I would most likely have been on UA 93! I had recently flown as First F/A (Purser) with then, Captain Leroy Homer, who was on the Airbus. He was a perfect gentleman, so proud of his new baby girl, and he was an excellent aviator. As EWRSW was a small, but close-knit base, mostly of commuters, we saw each other for short periods of time in the domicile, then were off to the Friendly Skies! Just after 9/11, during my RET (now CQ), I remember wearing the printout of the pictures of my fallen heroes on UA 93, in my shirt pocket over my heart, during my evacuation tests. I performed everything for my fellow crew members, to the best of my ability, in their honor and beloved memory. With them in mind, every time I performed my “safety checks”, I did so from that day on, as if I had to be perfect, for them! On my way to my father’s funeral in the NJ/NY area, in early September 2014, I stopped in Shanksville, PA, to pay my respects to the memorial and see the place of rest for my UA 93 crew members and friends. Prior to then, I had not yet summoned the strength to go there. At the end of the official presentation, the attendees were asked if there were any questions, I was compelled to speak to the crowd, as a UAL F/A who knew the crew. Shortly thereafter, I was surrounded by the site’s officials and visitors from all over, and was greeted and hugged by strangers who also vowed to never forget! In the loving memory of those who lost their lives on September 11th, I will always cherish the good times we shared together, and I will continually pray for comfort and peace for their families. 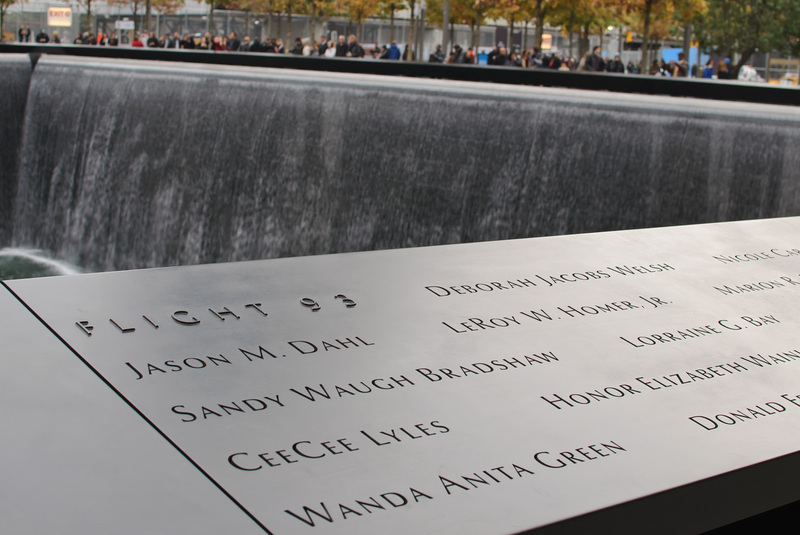 WE WILL NEVER FORGET is not a mere slogan, but a promise and a commitment to flight safety, around the world.